This was tough too. I really, really love DnD 5the Edition. But. But, I love Green Ronin's Fantasy AGE at least as much and I've had it less than a week. Its a sweet, sweet game. Its the type of game engine I've been thinking about for several decades, but wasn't smart enough to work it out or talented enough to make the Stunt system. Thank goodness Chris Pramas was both of those things and more. I'm torn wether Fantasy AGE might be a better intro game than the DnD Starter Box, and that latter project is a near masterpiece. 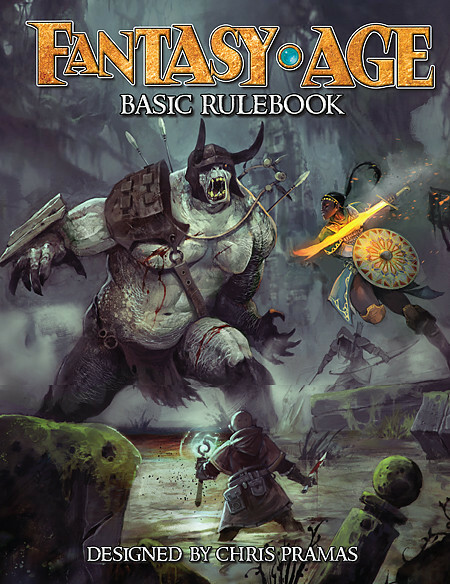 But then Fantasy AGE just keeps on going all the way to Level 20 in one book. Oh, and honorable mention to the Cypher System Rulebook. Don't miss that one either.